Browse our collection of 2 Zoomie T-Shirts and more. Designed and printed in the USA. 100% Satisfaction Guaranteed. About this Design This shirt is perfect for those who have a service member who is on deployment! 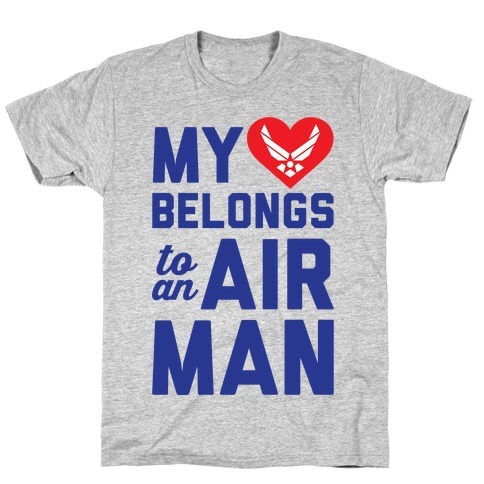 This cute shirt features a heart and Air Force Insignia and the words "my heart belongs to an airman". 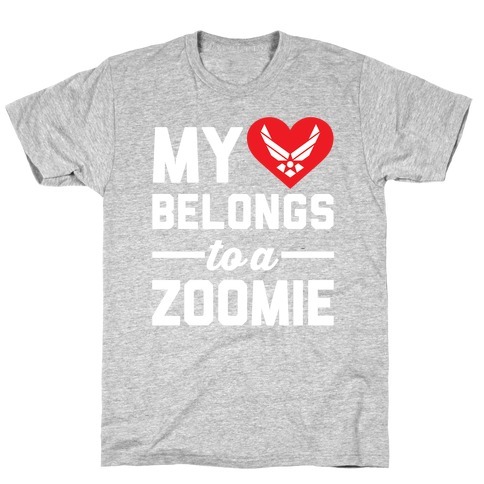 If you love a flyboy or zoomie and are a patriotic girlfriend or boyfriend and you want the world to know it, this shirt is for you!